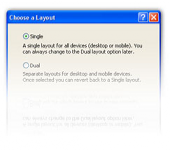 The only software you need to create sophisticated website for desktop and for mobile devices. 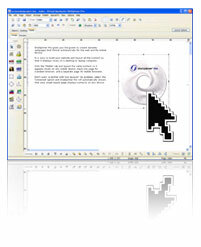 SiteSpinner and SiteSpinner Pro are Windows-based software. 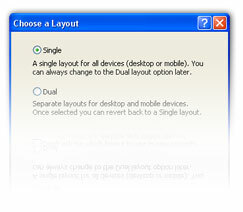 They allow you to easily and quickly create content for any device. 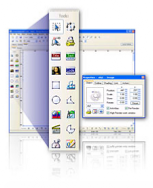 SiteSpinner Pro is our Windows-based, professional web design software suite that enables anyone to create rich, interactive websites designed for both desktop and mobile devices quickly and easily. 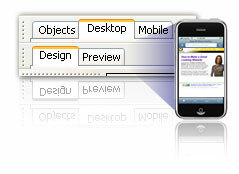 Design sites specifically laid out for mobile devices with SiteSpinner mobile website software. This means that you can quickly and easily build and publish sites that will be formatted for the devices that visitors are viewing your site with. 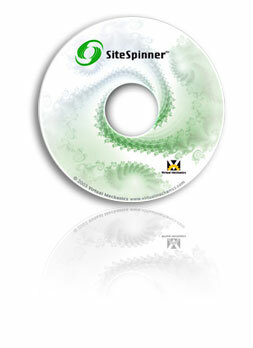 SiteSpinner Pro web design software is first and foremost a Website Creation tool. No matter how small or how big your site, SiteSpinner Pro has all the tools you need to create a professional site and publish it to the web. are building it, directly in the work-window. Not only can you view your desktop designed page, but you can also view what your page will look like on different mobile devices and resolutions. Editor, Behavior Editor and more. When you are done, publish your page to HTML, DHTML, or SVG (Scalable Vector Graphics). Move anything, anywhere with your mouse. Resize, skew, rotate objects. Align objects by position, size. Move objects from front-to-back. 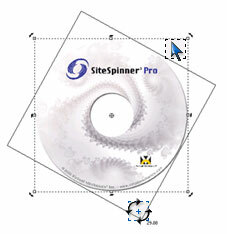 SiteSpinner Pro was designed to conform to W3C industry standards for desktop and mobile development. SiteSpinner Pro works with all major desktop and Mobile browser, and web servers. 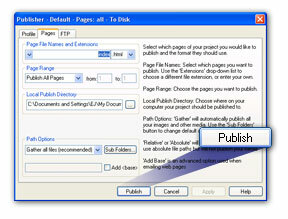 You decide how your pages are published. Relative or Absolute paths, or use the Gather function to automatically 'gather-up' all your images and transfer them to your webhost for you. SiteSpinner Pro web design software comes with all the SiteSpinner standard features, including a Forms Editor, Table Editor, support for Inline Frames, Spell Checker, Title Editor, support for Flash, PDF files, and much more. advantage of our ever growing community of users in our Community Forums. This is a powerful development tool that shows a lot of promise. SiteSpinner is the leading Windows-based Website Design App with millions of users worldwide. We make it easy for everyone to create a beautiful, professional web presence.